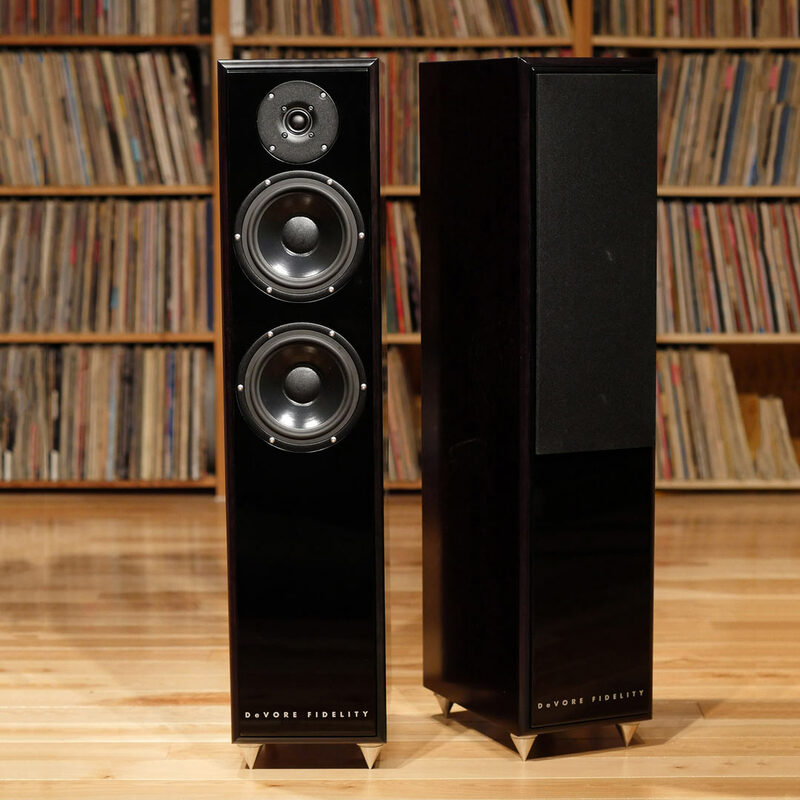 …Here is the new DeVore Fidelity Gibbon Super 9 ($9,900 pair) which falls in between the company’s big Gibbon 10 3-way and the Gibbon 88 smaller 2-way floorstander. “This is a 2 and a half way,” says DeVore, “and the goal with this speaker was to get as much of the performance of the big Gibbon 10 in a smaller package and make it significantly easier to place in a room.” DeVore adds that the speakers are very easy to drive with a 91dB sensitivity and “nice even 8 ohm load.” They’ve also been designed for a wide sweet spot and in fact the demo pair were not toed in at all but were imaging quite nicely. “Group friendlier design,” DeVore remarked, which lends itself to a bigger listening window. (This) is the very first production pair, and the speaker will start shipping as soon as CES is over. As with the rest of the Gibbon line, the new Super 9 is made out of solid bamboo and come in three finishes: an amber bamboo called “Cherry”, a deeper stain color called “Mahogany” and then “Mink” which has the bamboo stained a dark anthracite grey. Hear DeVore at Command Performance today!